Laurier’s Department of Physics and Computer Science is a multidisciplinary department whose faculty members’ backgrounds in computer science, engineering, mathematics, and physics combine to deliver traditional programs such as Computer Science, which you can take with a number of variations, and Physics. In combination with the Lazaridis School of Business and Economics, we also offer a double degree program in Business and Computer Science. The information economy demands well-trained systems analysts, microcomputer and software specialists, and programmers. Laurier computer science graduates succeed in this competitive environment. More than 90% of Laurier’s Computer Science graduates immediately enter the workforce while the remainder go to graduate studies in computer science. Students can use the flexibility of the Computer Science program to design their own specializations to meet their particular interests. For example, Computer Science can be combined with Mathematics, Psychology, or another program. 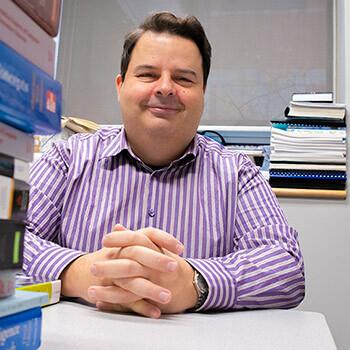 The combination of Laurier’s strong Business Administration degree with a Computer Science degree creates a 'total package' graduate combining technical know-how, analytical skills, and business expertise. There is a strong market for the technically savvy business graduate. The aim of the Physics program is to provide a broad foundation in physics with specific emphasis on electronics, photonics, and solid state physics. Software test engineer for scientific instruments. MSc at various physics programs in Ontario. All full-time honours students in Physics and Computer Science may apply for the co-op option. Admission to this limited-enrolment option is competitive and is based on academic record, recent work and volunteer experience, extracurricular activities and interview performance. Students complete two work terms of at least 10 weeks each, usually in the summers following their second and third years. Computer Science and Business Administration double-degree students are automatically enrolled in co-op. If you select the co-op option, you will have the option of taking co-op for either three or four terms. The Professional Experience Program (PEP) for Computer Science includes a work term lasting from 12 to 16 months after the third year of study. The extended continuous work term allows participants to engage in a project of reasonable complexity and see it to completion.